Ever since I had my first deck, readers on the web and that I knew in person told me what to do with it. Being either a rebel or a bad listener, I didn’t follow any of the normal traditions thought I did wonder if my tarot deck was going to curse me or not because I didn’t do as the Internet commanded. I am not surprised that many people feel this way TODAY despite the increase in popularity of Tarot and people owning decks. Hence, I want to discuss Tarot Superstitions and Traditions. Is it a Deck Tradition or a Superstition? Frankly, there seems to be little difference in between the two terms when used with Tarot cards. The main thing I want to emphasize, is that what seems like superstition is actually just a tradition, but most occultists swear by their traditions having magickal implications. 1. Your first deck must be given to you. You may not purchase it yourself. If that was the case, I’d STILL be waiting. No one in my family has any experience with this, and many of my friends wouldn’t touch them with a 10 foot pole, even to give them to me. This one goes down as a tradition. Traditionally, the first deck is a gift and it is good luck for it to do so. I can say anything is lucky because as long as I believe in it, it has power. It is perfectly fine if you want to buy a deck, any deck. I would keep up this tradition if my kids had an interest as sort of a generational thing, but if they would rather get one themselves, why shouldn’t they? Don’t wait for anyone to get you a deck. Seize the ownership of your own spirituality! 2. Your deck must be wrapped in silk or placed in a silk or velvet bag. I spent 8 dollars on a tiny piece of silk at a craft store to cover up my first deck because I was afraid it wouldn’t work without it. There is some need for this superstition, but for the most part it is merely a tradition. Many readers, including myself, believe that any and every deck has its own energy as you use it to read over time. To protect this mini energy field, silk and soft fabric is recommended as it causes you to have this feeling of delicacy. One of my decks is still in that silk with a cloth bag, while another is in a silk bag because I want the energy preserved. You can carry them in Tupperware or a tin if you want to, or even in a Ziploc. Create your own tradition and observations and see what works for you. 3. Facing East or North when doing Tarot Readings. This is a superstition, however I have some circumstantial evidence to back up why you always read facing East or North. During a ritual, the leader did a tarot reading facing West as part of a Samhain (Halloween) ritual. All the disasters you can think of ended up in this reading. 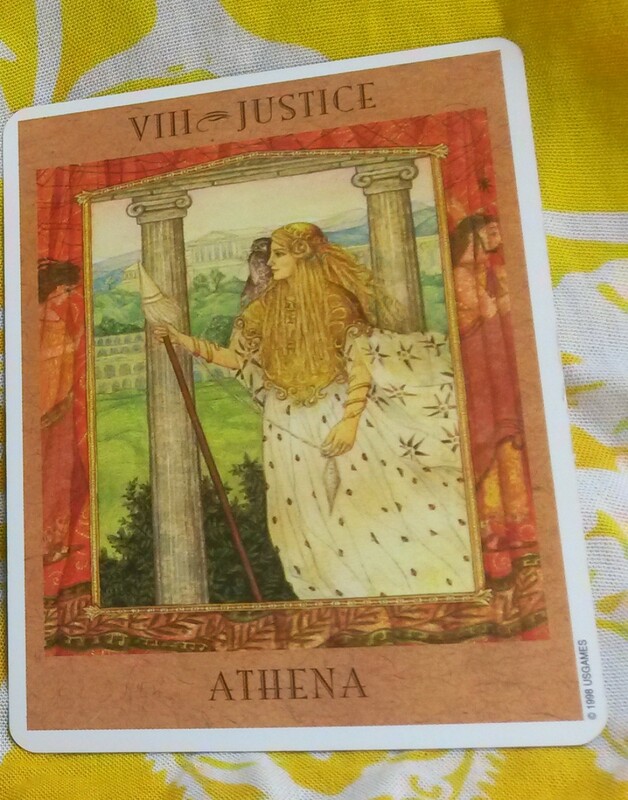 Divorce, actual death, poverty, etc plagued the reading with some sort of negativity I had not seen before. The West direction, in the Wiccan tradition I know of, signifies the Otherworld or Summerland. I have had much greater success and accuracy reading facing North and East. I prefer East but like North just the same. YOU HAVE FREE WILL. There I said it. You can change your own like the WAY you want it to be. You like what the Tarot has to say? Good. Follow its advice. You HATE what it says? Change it! Get control of your own life. The most popular superstition is that Tarot tells the future. It does not! It tells you the most likely path you go down. Like a predictable movie, it uses probability to show you what’s going on. And ya know, sometimes you’re doing the right thing and you need an extra push or you need validation. There is nothing wrong with that. But know, the future it gives you is in YOUR hands. 1. Tarot is Satanic. Nope. It isn’t involved with any religion and is a stand alone practice. Penecoastals and Wiccans both can use Tarot. However, the Bible in general talks about only God knowing the future and how fortunetellers must be stoned. Cool. I’m not a fortuneteller, I’m a divinator. However, I also don’t eat seafood, and people who eat shrimp must be stoned too. I think it evens out. In other words, don’t link Tarot to any religion, even Satanism. But that’s where that myth comes from; Christians who don’t understand that the future is in their hands, and that God gave them free will to just be happy and logic to help them get there. 2. The Death card means I’m going to die! Nope. It just means change, such as the end of a cycle to start a new cycle. But everyone fears change like they fear death so I can see where this one comes in. No, you aren’t going to die if I read your Tarot, but it is perfectly human to fear change. 3. The Tarot is never wrong. Nope, unless you like self fulfilling prophecies. Tarot can be wrong as it is a tool, and just like using a shovel to smack someone in the head, a tool can be used wrongly. So put down the garden trowel and remember that a tool is best used in experienced or open minds. I do like placing my bright yellow sarong on my table. I like wearing it. I like holding it. I like wrapping myself in it and pretending I’m a tropical Eskimo. Whatever. I don’t take a lot of stock in traditions, so I just will encourage you to do what you feel like and whatever works for you. Anyone who says otherwise is silly. The Death card is no big deal. It’s the Happy Squirrel you have to watch out for!